Articles tagged with "Jonathan Cope"
MacMillan’s potent dramatic ballet places great demands on its cast and requires careful planning – but the results are electrifying. Our recent event set the ROH Student Ambassadors to the task of improving the online encyclopedia's articles on all things ballet. Rehearsal footage and exclusive interviews from the cast and creative team of The Royal Ballet's Swan Lake. Evening of world class dance to honour the life of Ann Maguire and celebrate her legacy. 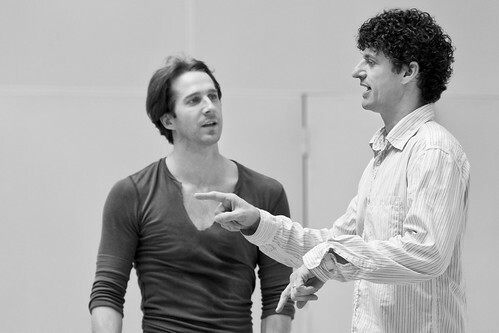 See Jonathan Cope rehearsing Nicol Edmonds as Apollo in this exclusive Insights event footage. Jonathan Cope and Lesley Collier coach Fumi Kaneko and Nehemiah Kish in the Sugar Plum Fairy pas de deux. We catch up with the former Royal Ballet Principal-turned-répétiteur ahead of the ballet's return.